SR 129 & SR 56 at Vevay,N on SR 129 right on Jackson Rd to left on Pendleton Run Rd,house on left. Spacious home on 7.21 country acres with barn for animals,storage,workshop & small utility shed.Features 3BR,2Baths,laundry,dining & family room & great room. Finished rooms in lower level. 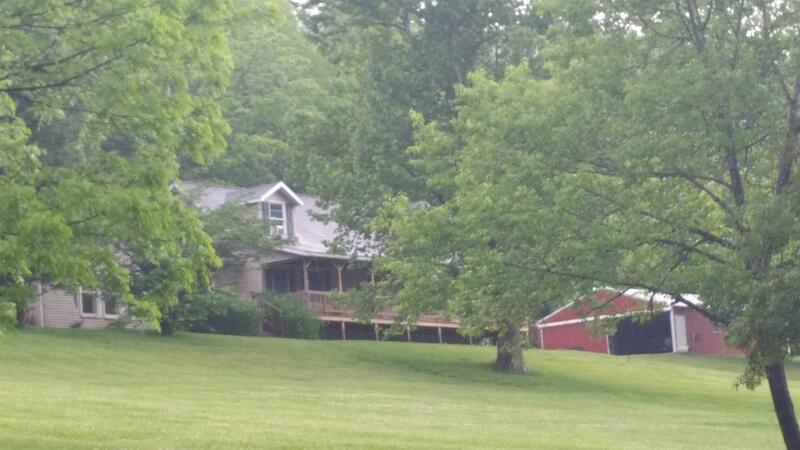 The 46 x 8 Front porch is the best place to overlook scenic valley & small creek across the road. This property is large enough for horses or cattle. NOTE: This property was sold on 7/22/2016 and is no longer available. The details listed below are believed accurate to the date of the sale and are subject to change. This listing courtesy of Mark Ginder (812) 926-2278, RE/MAX Advantage 1 812-926-2278.